The U.S. Navy achieved the first transatlantic flight eight years before Charles Lindbergh became world famous for crossing the Atlantic nonstop and alone. 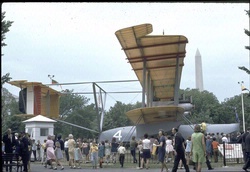 Three Curtiss flying boats, each with a crew of six, were involved: NC-1, NC-3, and NC-4. The five-leg flight began on May 8, 1919. Only NC-4, commanded by Albert C. Read, flew the whole way. The entire trip took 24 days. 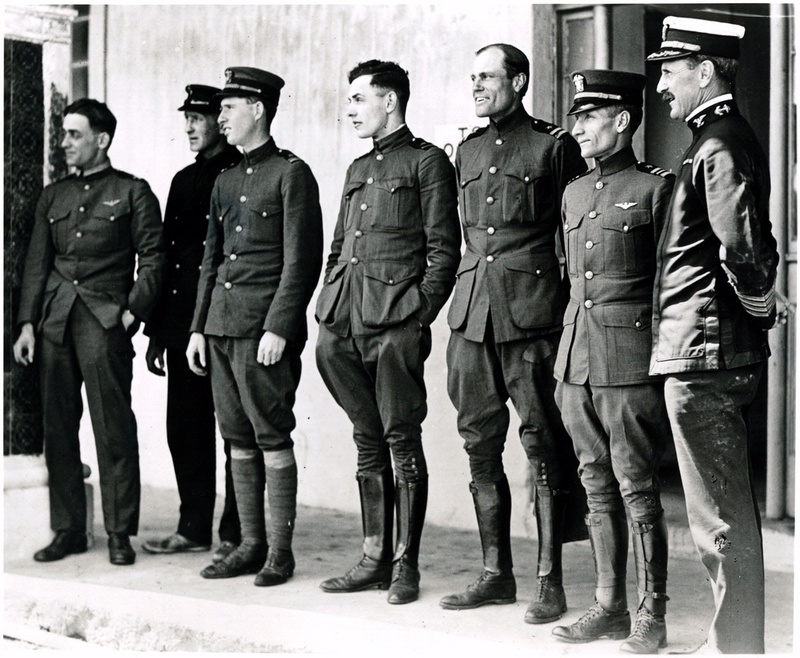 The NC-4 crew, left to right: Lt. Elmer F. Stone, U.S. Coast Guard, pilot; Chief Machinist’s Mate Eugene S. Rhodes, engineer; Lt. Walter Hinton, copilot; Ensign Herbert C. Rodd, radio officer; Lt. James L. Breese, engineer; and Lt. Cmdr. Albert C. Read, commanding officer and navigator. Far right: Capt. Richard E. Jackson, Commander U.S. Naval Forces Azores.